Mr. Friday, the boat which transported 282 people from Egypt to Lampedusa, Italy in 2013, will take the shape of the Migrationlab Public Living Room, where people easily connect, discover each other, befriend and challenge stereotypes and prejudices. 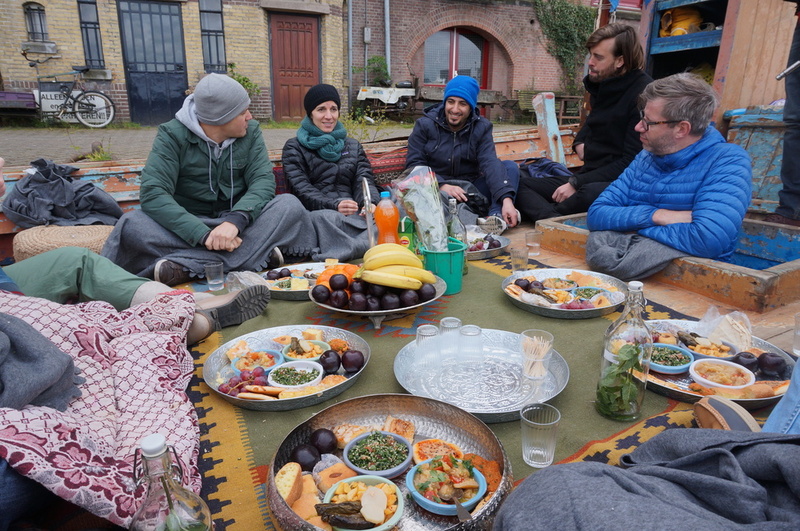 Refugees, migrants and locals get to know each other by sharing stories, impressions and food while we sail on Amsterdam waters. The Dutch Law allows only 14 people on this type of boat, and therefore places are limited. Here you have the possibility to purchase a duo ticket for you and a refugee for the afternoon Welcome to The Living Room Boat Ride: 2 pm to 3:30 pm. 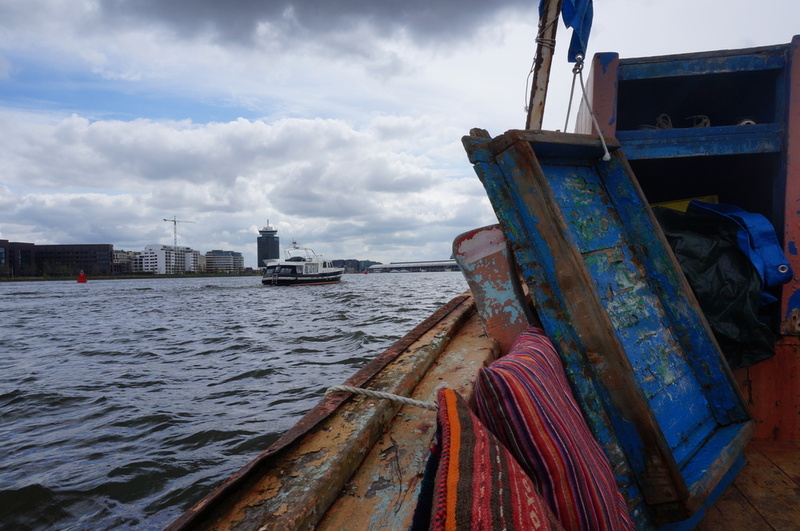 The duo price includes boat trip for 2 persons (you and the refugee) for aprox 2 hours; delicious meal prepared by World Kitchen; soft drinks; inspiring discussions moderated by the Migrationlab Team; After Boat Ride Gathering at Mediamatic and travel costs for the refugee. We kindly ask you to arrive 15 minutes before the ride. For more information please write to laura@migrationlab.org.